The Fourth of July is one of those holidays — the kind when you want to have the most fun EVER, sort of like Halloween and New Year’s Eve. 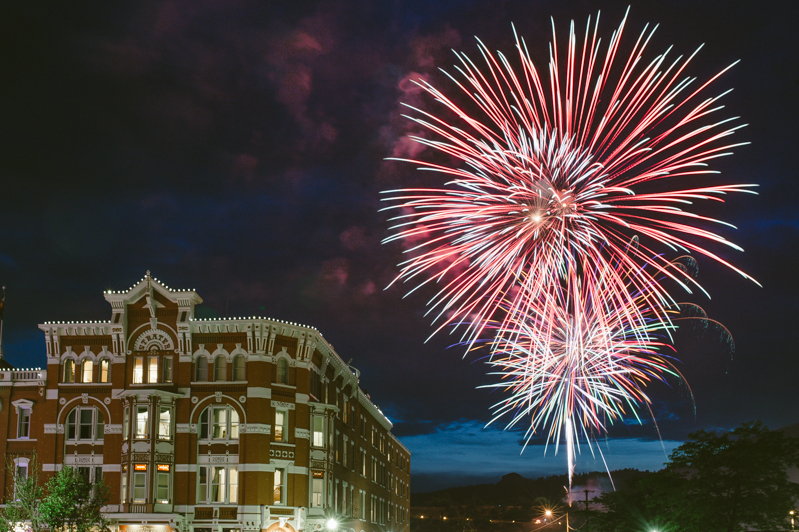 Luckily, there’s no pressure to try to get yourself invited to some crazy party or fun barbecue because all of downtown Durango becomes a party to celebrate the Fourth of July. The 4th of July in Durango gets started early with a pancake breakfast at Rotary Park from 7:30-11 a.m. and a free 5K fun run that kicks off at 9 a.m.
Then the daylong party gets started. Family Fun in the Park runs from 11 a.m. to 5 p.m. at Buckley Park in downtown. There, patriotic party-goers can listen to readings of America’s founding documents, let their kiddos shop the kid-to-kid flea market, rock out to live music from three bands, enjoy a magic and juggling show and get their fill of food, snacks, drinks and face-painting. When the sun goes down (OK, a few hours before the sun goes down), the night heats up. The Durango Street Dance starts shakin’ its groove thing at 5 p.m. on the 800 block of Main Avenue with the High Rollers providing tunes. Carver Brewing Co. will be selling its suds, and dancers will have plenty of choices for food and non-adult beverages. The street dance will take a breather between 6-7 p.m. to make way for the Stars and Stripes Parade on Main Avenue, which is expected to draw up to 50 entrants this year. When it’s good and dark outside — around 9 p.m. — the street dance will wrap up, and revelers should get ready for the fireworks. The fireworks show will take place just west of downtown Durango, and any east-west cross street should provide good views. When it’s all said and done, you can be “home” for the night in just a few minutes if you stay with us at the Durango Quality Inn. Book your room today and spend your Fourth of July weekend in Durango!